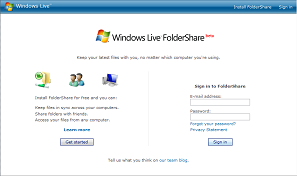 Microsoft's Live team have lots of different offerings that let you synchronize your information from one place to another. 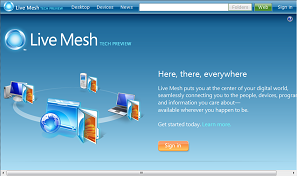 They've got Live Mesh, for sharing 'your digital world' here there and everywhere. 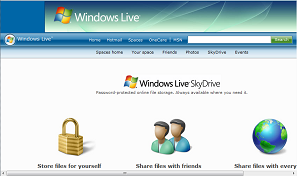 They've got Sky Drive, which lets you share files with yourself, your friends, anyone. There's folder share, the start up company they bought out which does more or less the same thing. 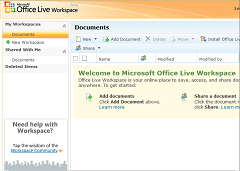 There's something called office live workspace which lets you sync and collaborate and something else. There's synctoy, which uses Sync Services for File Systems. It's a kind of Robocopy on downers, with a UI. And then there's the grand daddy of all of these -- Ray Ozzie's offering, Groove. There's clearly one Synchronisation concept that escaped them completely. They could've gotten together as a team, shared their ideas, and realized: Oh Crap! We're all building different versions of the same thing. Instead of creating a tangle of overlapping and unmergeable products, why didn't they synchronise their thinking and work out what problem they're trying to solve. And then build one compelling product, that's a joy to use, and which clearly solves that problem. Not to mention sharepoint which let's you, well, share. Up to a point. And, microsoft/ford sync for talking to your cars. Or, Live Labs Listas which helps you share lists. Or, ActiveSync, which well, sows frustration and despair on mobile devices everywhere.